I decided im going to keep my 05 and make it an off road toy. 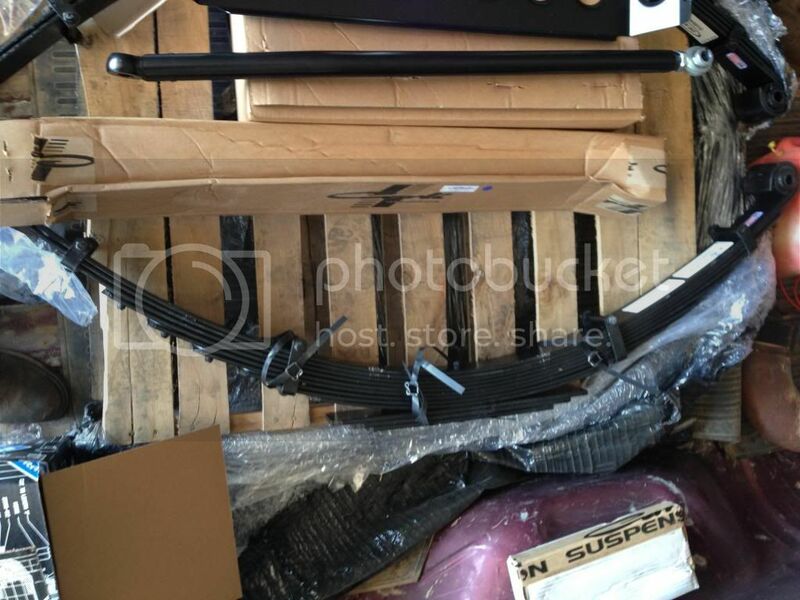 Bumper: I think im going with N-Fab full replacement because Im a dealer for them. 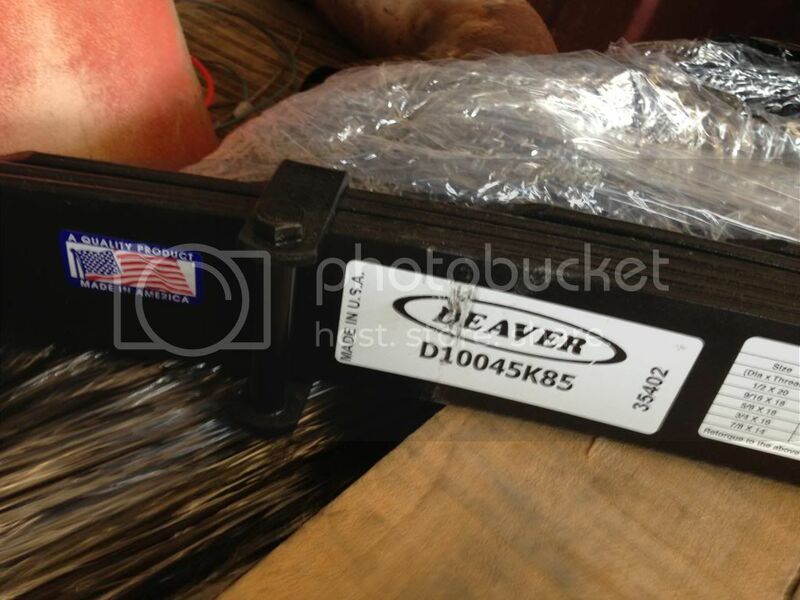 Finders: Going with 3'' fiberglass finders front and rear. Also doing 2 tone ****** when I get them painted. 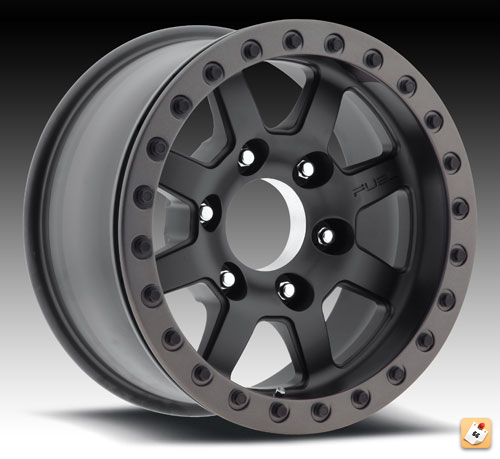 Wheels: 17'' mickey thompson classic lock black and maybe with the red lock ring if it is close enough to the paint color probably have to add a spacer to bring the tires out to the edge of the finders. 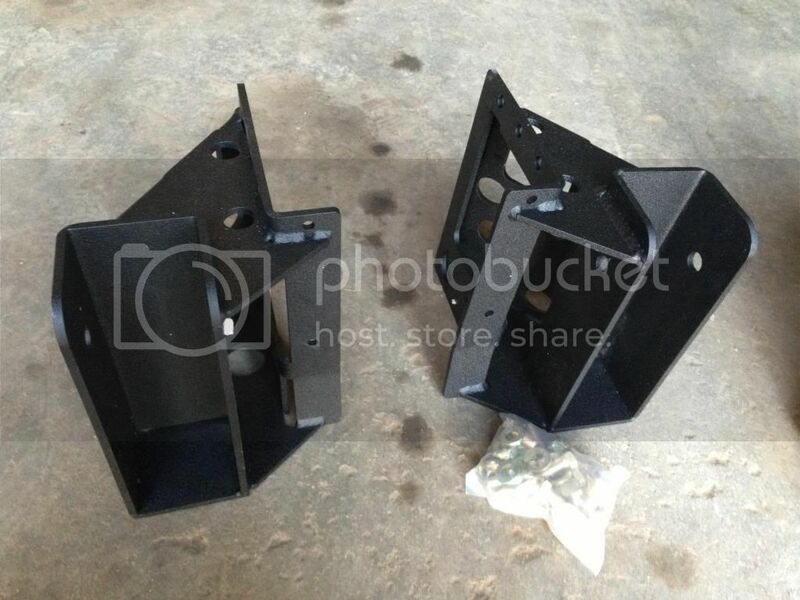 But I also have been thinking about a tire gate or making my own tire mounting set up. Not really concerned about loosing the function of the bed because I have other trucks for that but It would still be nice to be able to haul a 4 wheeler around. and I like the look of both. Just not sure yet. Thinking about mounting a big rigid light bar on the roof but not sure yet. Also not sure If I wanna do some sort of roll bar cage something in the back. That might be later on. Last edited by Cutting-Edge Diesel; 07-26-2013 at 07:08 PM. Matt have you thought of running an icon coilover kit, that is another option. 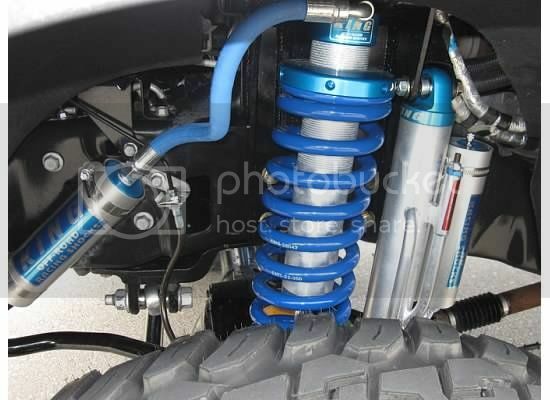 isnt the icon coilover only for 7"? just found it. there are 2. I was only seeing the 7-9'' ones. So how does that work? do you have to get the icon kit then not use the coils and shocks and use the coils? or can you sup in the coils? only thing i dont like icon is the rear leafs are not addressed. Icon sells a coilover mount kit. I agree on the leafs not being addresses this is another thing I've been trying to gather info on before I buy my kit. Going to be cool for sure. yeah but is it just and add on and you have to just not use the coils and the socks and just eat that cost or can you substitute them in? I'm just gonna go ahead and claim the truck as mine but no tire gate. Icon if it will do on and off road. Carli for offroad, the pintops are a great option and work really good, not as good as coilover, but only a minuscule difference to 99% of drivers. The pintops IMO end up being a really durable option, with next to no chance of failing, and leaving you stranded. I ran the M/T Classic Lock 2, they exceeded my every expectation, pounded them often, nice and true new, and same after MUCH abuse. The anodized rings are cool but spendy to swap(for color), I painted mine with no probs, and they looked great. Some may feel they are old school, but I like wheels, never tired of these, loved them the day they went on, loved them when sold(miss em). Super strong, and ability to change the look whenever is hard to beat. Best other upgrade was good driveshaft, Tom Woods made mine, and it was perfect, so smooth. They spent a ton of time getting me what I needed, lots of measuring and angles to get travel and angles perfect. Carli rear leaves shine off road, I would use bags for hauling if needed, but IMO that is a trade-off that is unavoidable for great off-road performance, you would not be disappointed in any way other than the aforementioned loss in hauling/towing capacity, no comparison off-road. Last edited by Vizsla; 07-26-2013 at 08:26 PM. More like I have the time to drive it and you can make the build happen. whatever you say dear but you break it you buy it. Pretty sure there should just be an exception made to that rule. How "soft" is your truck on road? Alot of Icon trucks I've been in we're a bit harsh. 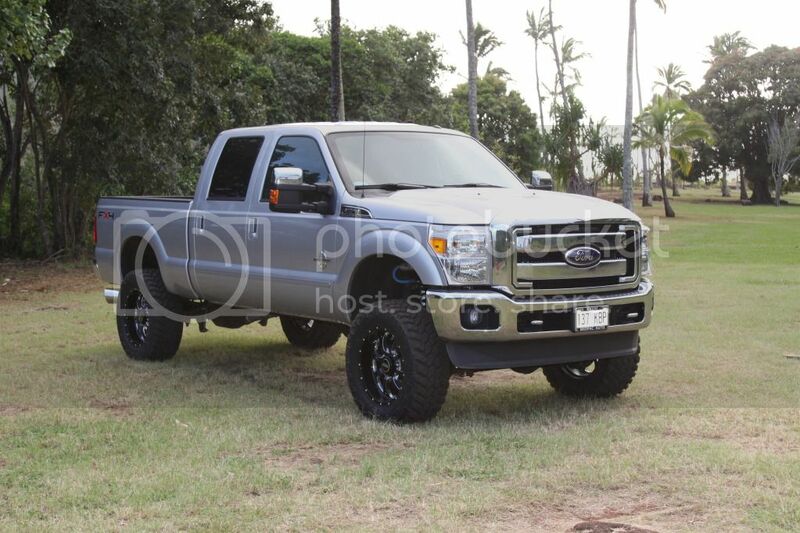 Any pictures of your truck? 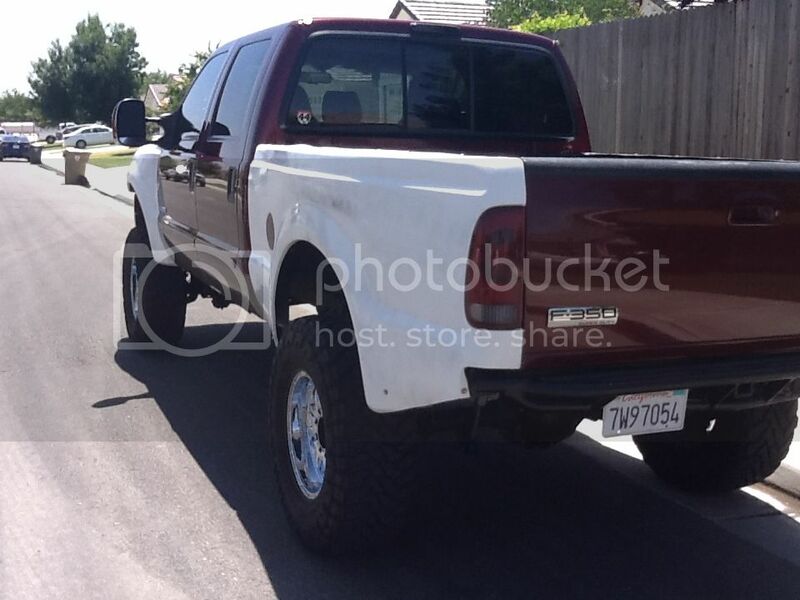 I was wondering if the 4.5 would look to high because that bumper will make it look alot higher than it really is but I dont think it will look bad. 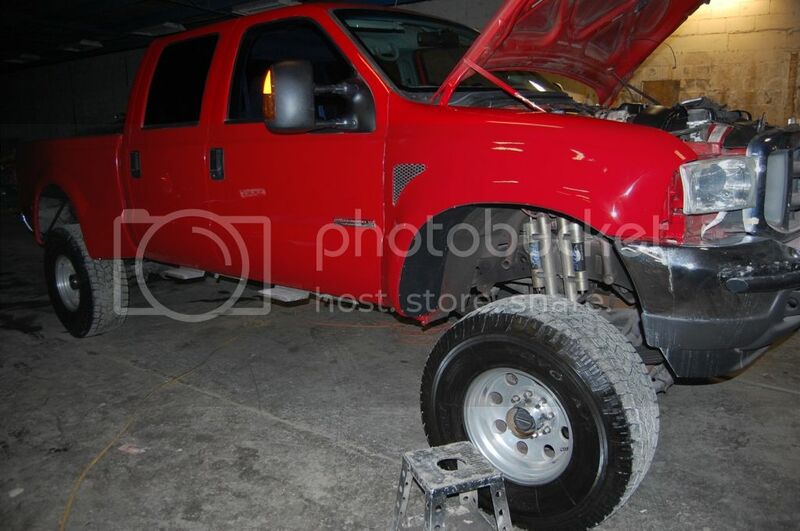 This is the truck jacked up to match what the lift would look like. This is gonna be sweet Matt! Looks fine to me with the 4.5" lift simulation. Why rigid over light force? Last edited by Cutting-Edge Diesel; 07-27-2013 at 07:30 PM. 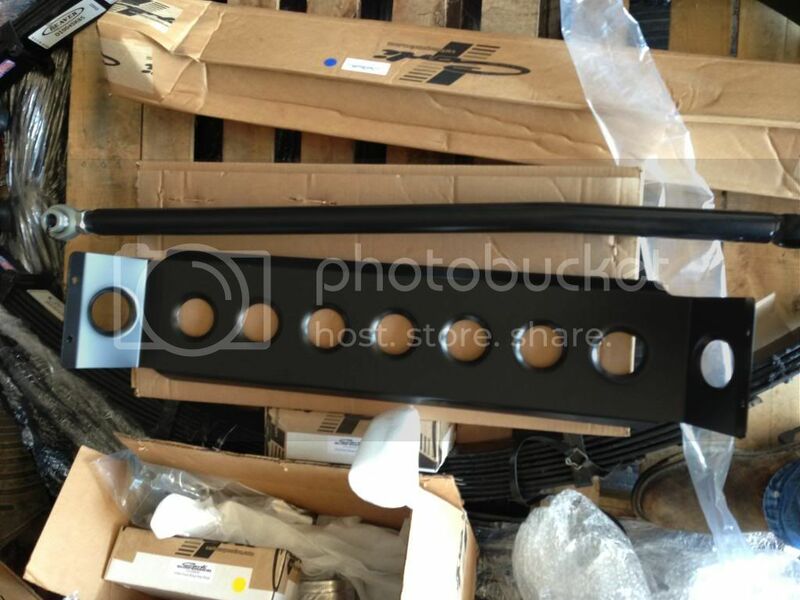 IMO the light bars looks better and would probably hold up to abuse better and our out more light, but that's just my opinion lol I think with that front bar, you could mount up to bars like the ones in this pic and it would look great! Last edited by BlueOx; 07-27-2013 at 07:53 PM. 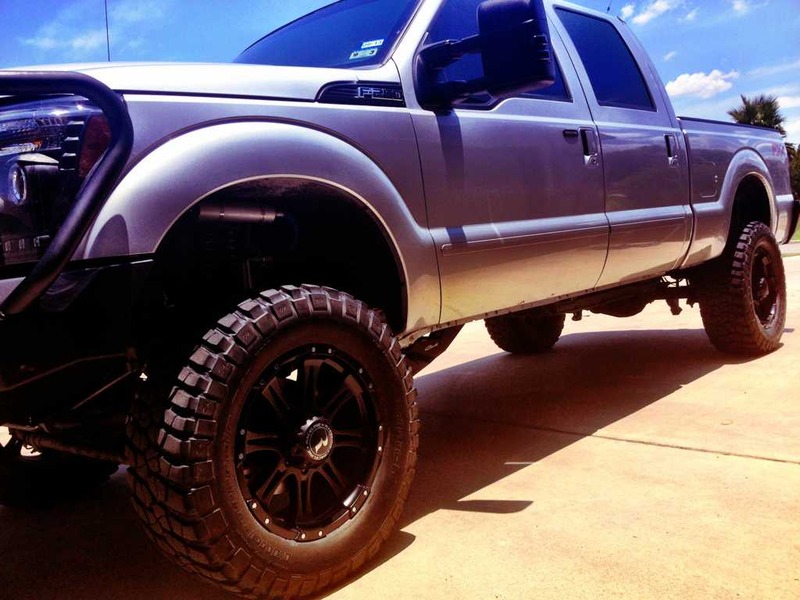 07 ford f250 PMF suspension 20x12 on nitto 420s. Studded ******d and tuned. That truck is going to be awesome when you're done with it Matt! I think I'm over $1500 difference from the carli to the icon kit. And I know for a fact if I spend 4500 on a lift and it doesn't perform how I hope I will be more than disappointed. I know for a fact both kits will perform more than acceptable off road. What I am not sure about is how each will compare on road. I don't want to be stuck with an off road only, something that performs on road is what I'm looking for as well. If I find anymore threads or info ill pass it your way. With Matt, I like the rounded lights better. 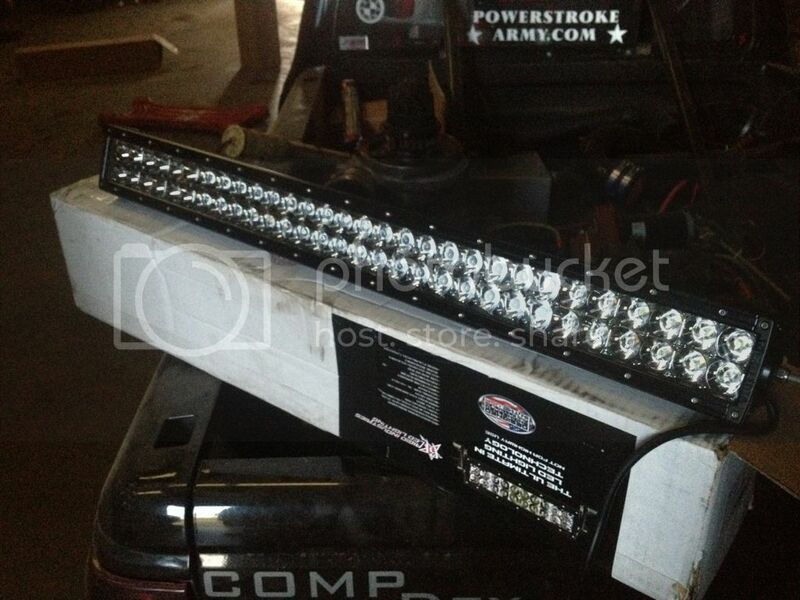 But the stacked rigid looks cool as well. why is it so hard to find someone who has been in a nice icon kit and nice carli kit! sweet be sure and let me know if you do. Im going to call the carli guys next week and pick their brain. This is how im thinking this will go down. Things is gonna be nasty Matt! Sak, any reason why the icon over the carli? Its just what I have always run. Last edited by Cutting-Edge Diesel; 07-28-2013 at 09:31 PM. I kinda have the same going in a way for mine. 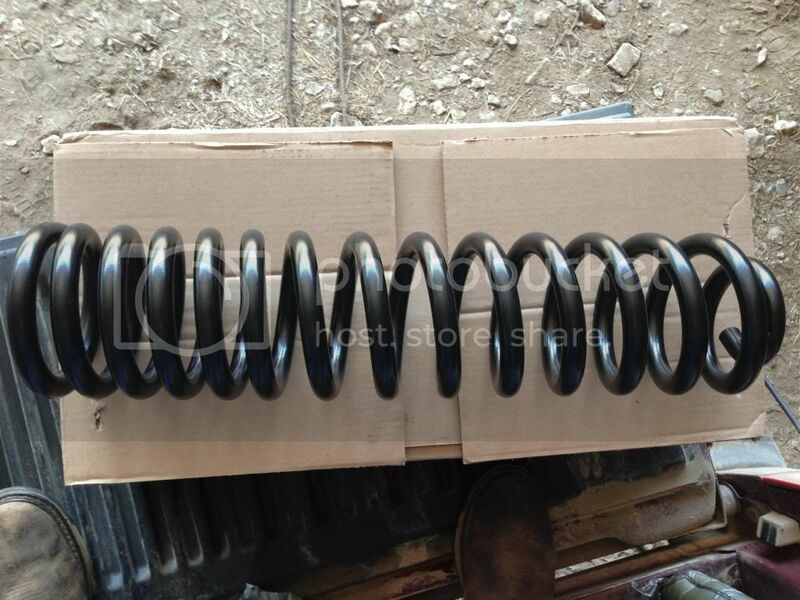 If you wanna get best rear travel do a spring under kit. I did that on my raptor and had 28" o travel and it made a huge difference. I think 4 linked front/rear and spring under will get you what you want. Just go with a bed cage as well cuz ur shocks will be sticking thru bed anyways. and what carli kit do you have and how do you like it and would you buy it again? The truck with the icon 4.5 and 35's looks nasty. 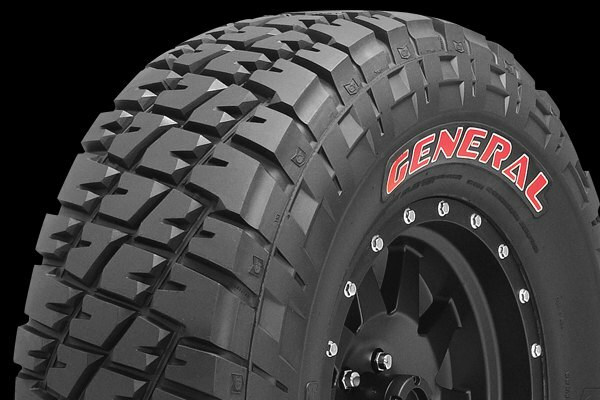 I would check out some method 17x10's and 35x12.50 generals like you mentioned. 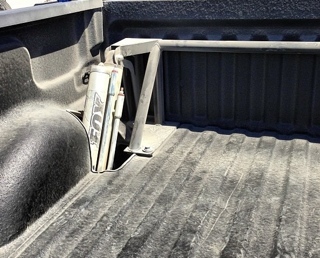 To much space in the finder well for me and WAY to much for a pre runner style truck. You will want bigger tires once you put the fiberglas fenders on, but at least thats stage three so you might need a new set by then. My vote is for the carli and 37's though. They should have the same finder hight just wider I think. I thought the fronts looked like cut outs but I could be thinking of something else. The prerunner fenders normally have a way bigger tire opening then stock. That truck would be nasty with a matte black wrap, light bars, and black methods. 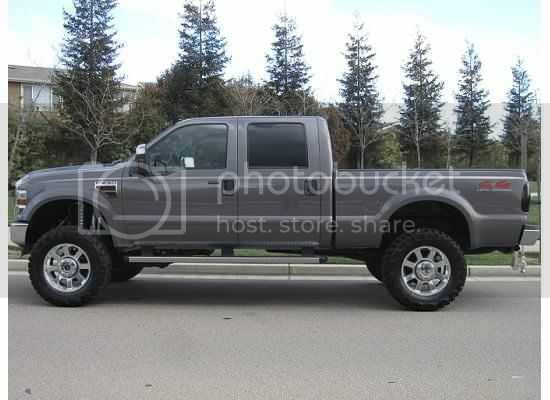 DPP made a 6.7 Raptor with the Carli and 40s(larger fender openings) that you may want to check out, if you haven't. 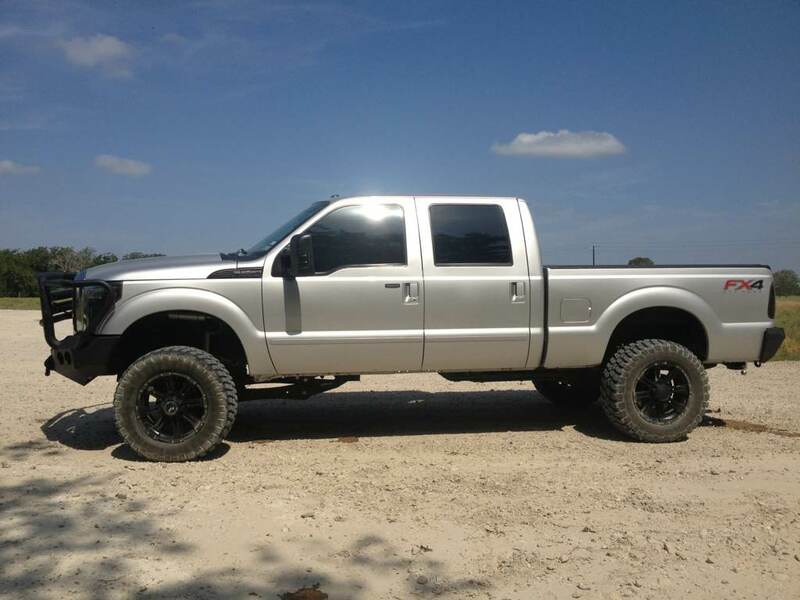 A guy I went to HS with had a 6.4 with a Carli and 37s and according to him, it rode like a dream. Personally, I'd go w/ the Carli Coilovers bc they like to abuse their chit and it looks like it holds up very well. http://youtu.be/CUtEMQgzvsU Seeing the manufacture do this gives me a little more confidence in the product. 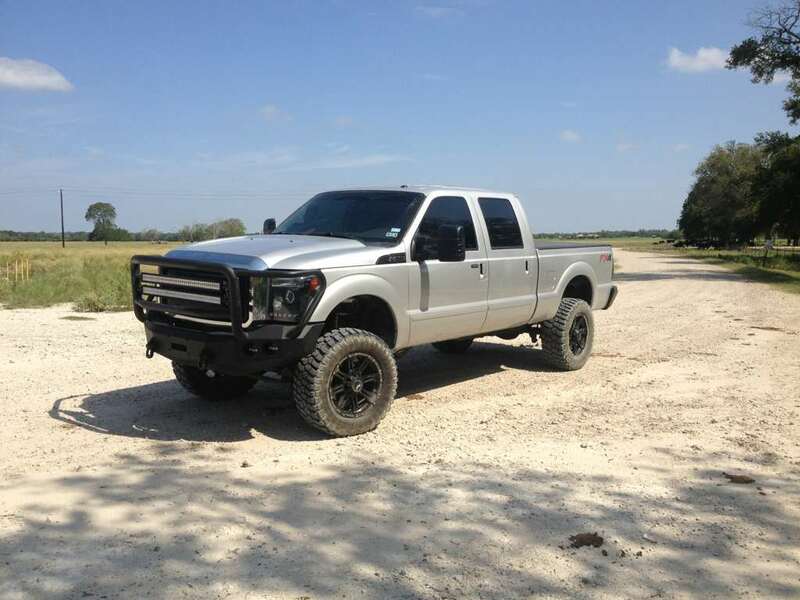 yeah ive seen it, sweet truck but to much tires for me. Guess I should pay closer attention buy my reasoning still stands though, looks like their chit is built pretty tough(not saying Icon isn't). 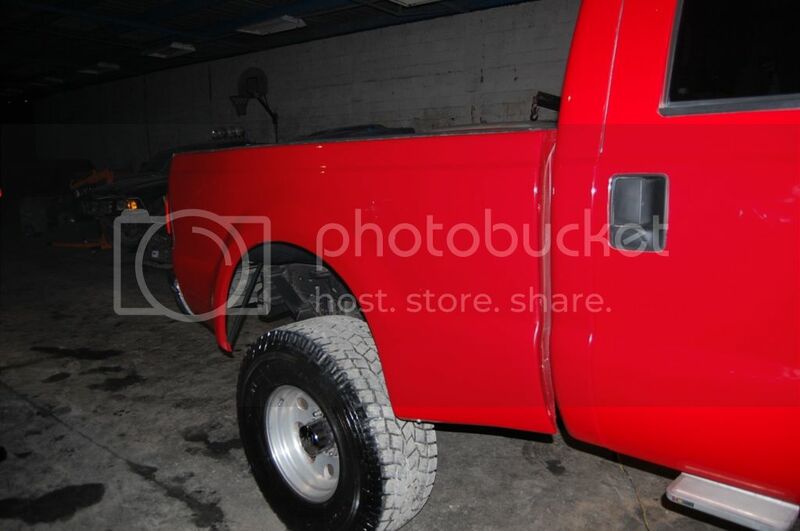 That would look better with a prerunner front bumper. I like that those fender don't open like cutouts. It looks a whole lot better. Since I decided to go to 37s. Im having a hard time deciding on tires. any suggestions? hahah cant swing the cash for them. I would love them but they are crazy high. Coilovers or progressive coils! oh the choices!! Bumper and lights are getting ordered next week so I need to decide. You will get more travel out of a coil and shock then a coilover setup at the heightmyou are going for. 06 250 exsb 2" level w/ 350 block, afe filter, 4" straight thru exhaust, insight cts, more random stuff. mods waiting to be installed: coolant filter, blue spring, php ficm tuner, 08+ tails. wish list...MORE POWER!! Send a private message to 6.0newb! Find all posts by 6.0newb! That's an off-road tire. If you plan to drive that on the street plan to spend a lot of money on tires. I only put 25K on them before i sold it but i was not disappointed. They traction in rain wasnt that great but alot better then nitto mud grapplers. 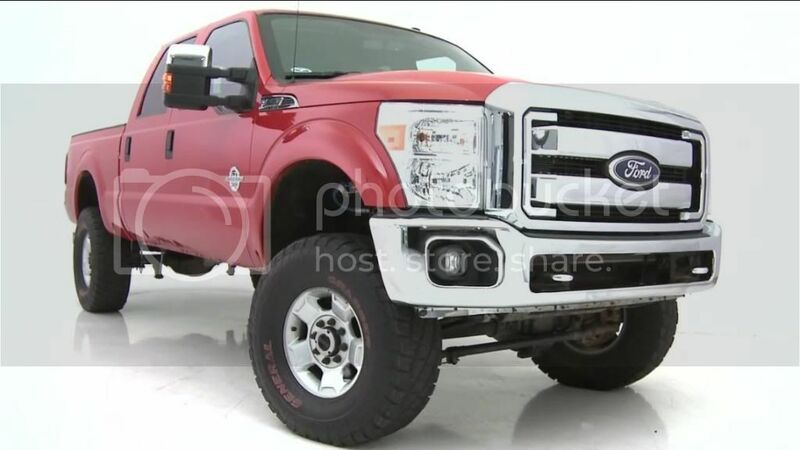 Im considering another set for my superduty. I never had a flat in them. 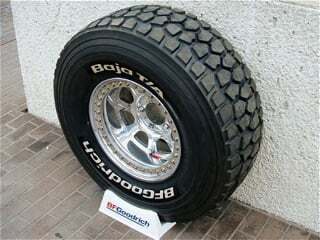 Probably toughest tire i know. I abused the snot out of them too. Only complaint was the weight of them. My raptor was far from stock but u could tell a difference. Got new gears pretty quick. I haven't seen the best longevity with them. I wouldn't be surprised if the weight of your super duty wore them out even faster. You might be right. They are load D. I just noticed lol. The KM2s i have now have 40K+ on them and they have been awesome on tread wear. My 6.4 had same tire in 37" and they held up well too. The discount tire road hazard is $60/tire and i keep rotating a new one with big puncture in haha. I honestly dont get flats in these either. The GT red letters are nice but i think you can only get up to a 35"
yeah only have them up to 35s. I was told some people didnt like them and that kind of turned me off of them. They look cool tho. 35s dont look bad on your truck. I like the grabber and the 37 tire I like is on back order and it adds alot of cost to the build. might be rethinking tires too. Gettig Carli 4.5 pin tops with stainless shafts and full leaf. I can't wait! The leafs make a bug difference. Changing the rear leafs to the 08 style. It will ride better just have to change the hanger. 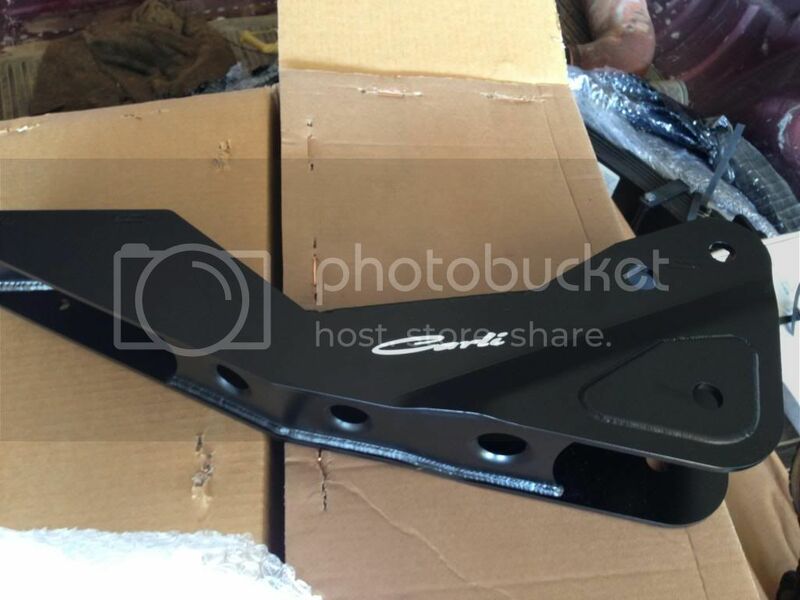 got the carli lift ordered! might be a while before I get get it on. I hope to have it on before ennis and I will drive it down. What all did you end up going with?? 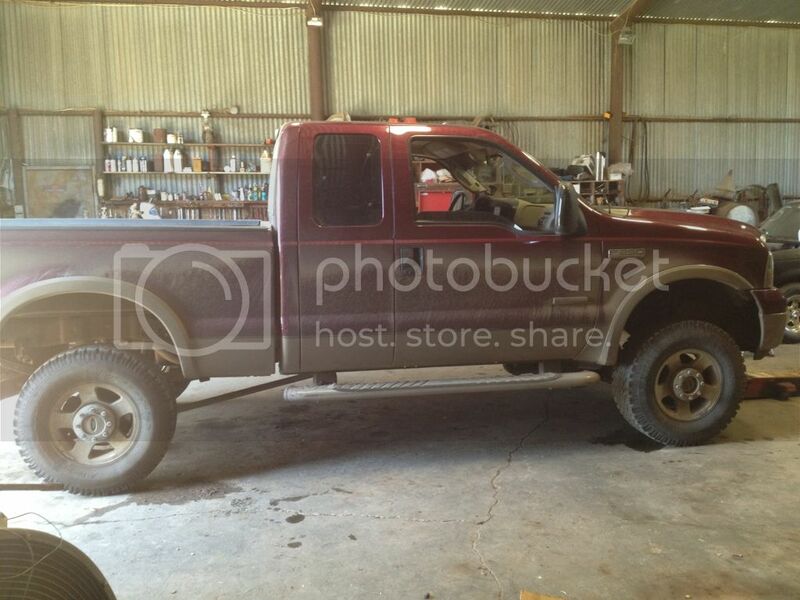 Can't wait to see this truck come together!! I think u will be very happy with that setup. Nice Matt! Can't wait to see it! KMC Enduros r sweet too but methods r just the norm it seems like. So simple and clean looking. The new method vegas r pretty tough too. Thats what i was wanting and they were backordered for 8x170 but i know a few shops been getting them lately. I do... but I'm old. I run 16" Pro Comp Rock Crusher steelies. Then again, I do slow wheeling on trails, not fast desert running. steelies are tough, but heavy. Switching to 17" Hutchinson bead locks after these tires wear out. Staying with the Toyos. I don't recall reading wheel size. I know you want a 37" tire, but on what wheel 17" 22"? If you're really gonna run it hard, go with the taller sidewall. If you still haven't settled on tires, let me recommend Toyo Open Country MTs. Good on the road, tough as nails on the trail, E rated for a heavy diesel truck. The Secret Service should be required to carry around potted plants, solely to replace the oxygen obama wastes. I don't like procomp or anything else related to 4Wheel Parts. how is it related to 4 wheel parts? aren't they the same company? Not sure. Didn't think so but I have no clue. Fright company called the lift will be here tomorrow! Check out Walker Evans Racing, they have a wheel that looks like the procomp but a lot higher quality. Looked at walker evans racing rims. im even a dealer for them. I like them really have a race look that im wanting but they are pretty high. But the gray wheel they have really got me thinking about something other than black. now these are the choices. im liking the first one. 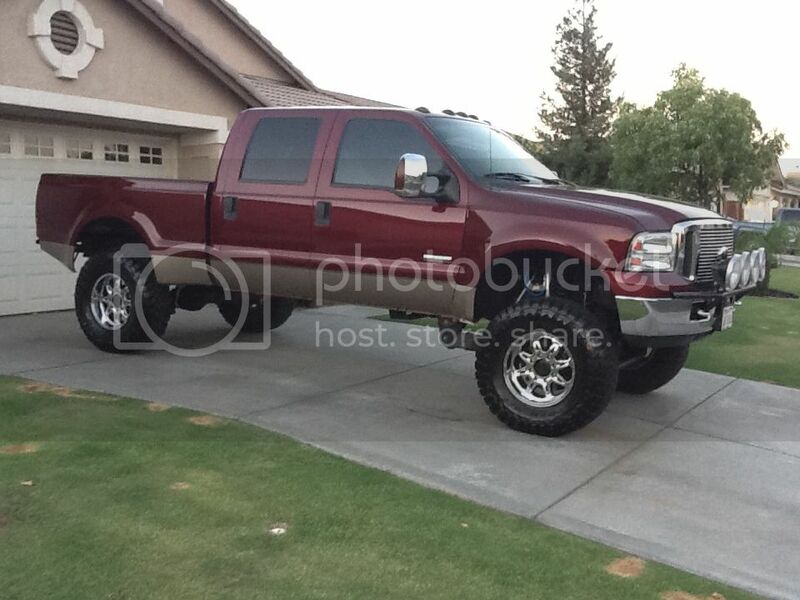 The truck is maroon/tan correct? I think it might have too many colors going on with the grey/black wheels. Maybe someone can photoshop them on the truck for you. With the two tone ****** it will look awesome with the solid black methods! all black or black and silver Standards. the NV are nice but im partial to the Standards. You could mount 2 of these back there. Same here... first one. Nice contrast with the rim. Looks more like a real bead lock. If you ever want to do more than pre-running, like slow wheeling in the tough stuff, you'll need to air down the tires. Hutchinson makes a true (internal) bead lock that's DOT approved. Those are my next wheels. Pricey though, gonna wait for these tires to wear out. Looks like you're off to a good start. Kinda interested to see what a pre-runner Super Duty looks like. Doesnt TR buy wheels and put beadlocks on them? oh not sure just know thats what the guy said. few more shots of the kit as I unpacked it. quality is very good so far. Those deavers are heavy as all get out lol. Excited to see how you like the kit. Well hurry up and get them heavy suckers on! Can't wait to see some more pics! -01 Jetta ALH TDI EGR ******d and Malone 1.5 for now. 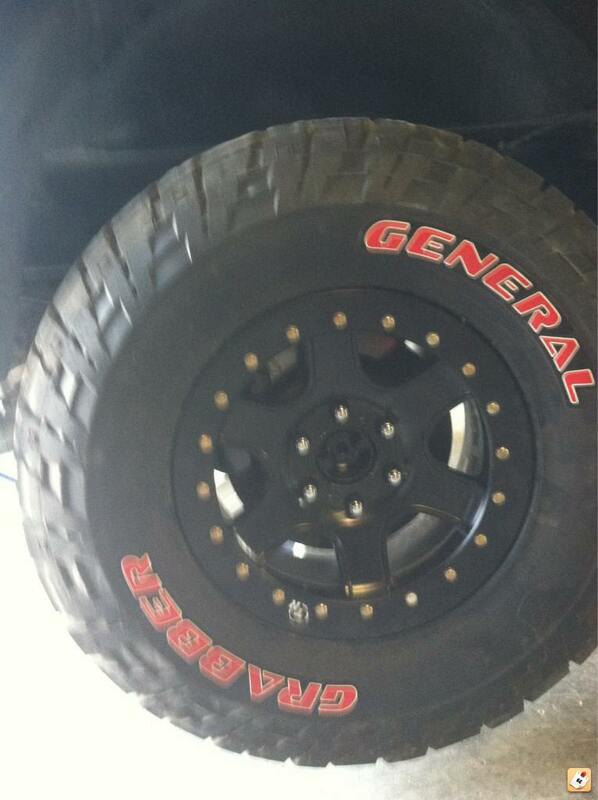 I think 35s will fit nice! I'd go 35s so you can actually get full travel and really put the new suspension to use. yeah idk what I want yet, but price is a big motivation. Its not really that i want to go cheap. its just I like the grabbers and they only come in a 35 and they are so much cheaper. I was dead set of 37s because I didnt want them to look to small but after seeing that truck with 37s I think 35s will be fine. 11+ wheel wells are bigger then 05-07. This thing is gonna be awesome! I think 37s look best, but if you're actually gonna use it as a prerunner, I'd go w/ 35s, especially since the wheel wells are smaller on the pre 08 trucks. 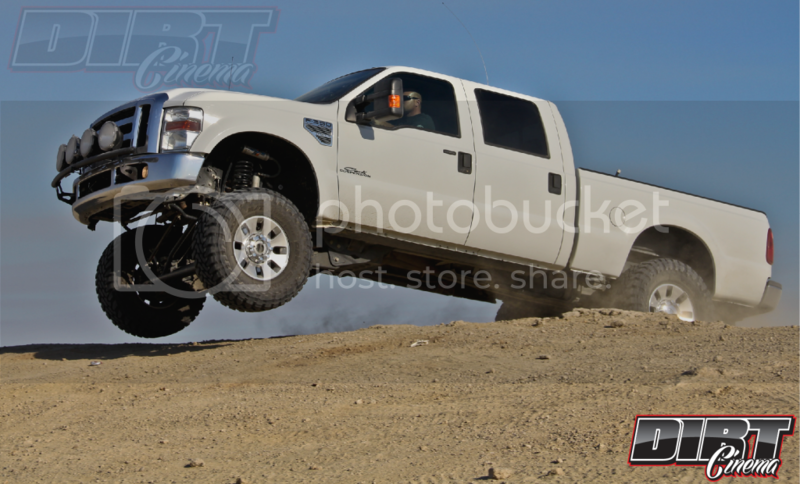 37's with a leveling kit is nothing new, the challenge is getting full suspension articulation at any steering angle. Lol, I meant don't go off driving like the guys from carli do in their vids, til you get the fenders. Nope to busy. Any time I get to work on anything that is mine it's the ranger getting it race ready. I wanted to get the carli kit on before Ennis but thats probably not going to happen unless things slow up. But I still have to get my new trailer race ready. had a change of heart....... might be doing this to my 06 with the compounds..... I dont know yet. That's what I would have done from the beginning. You ever get those wheels? yeah I got them. 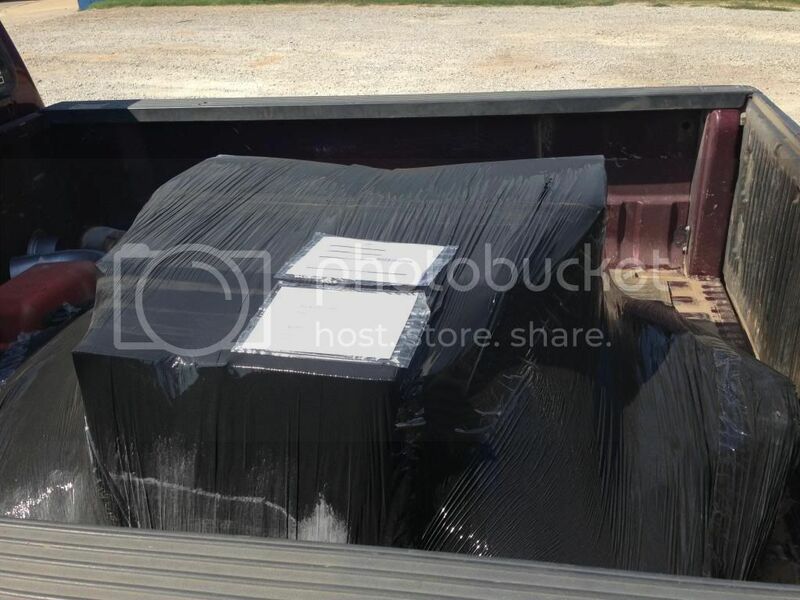 They are at a buddys house in cali right now waiting on some boxes to ship them. another piece of the puzzle from PMF. Those are on my list for sure. With some deavers. Matt those for 08 springs?